BONT Quadstard Boots, mid high shoes for roller derby, provide an excellent ankle support. 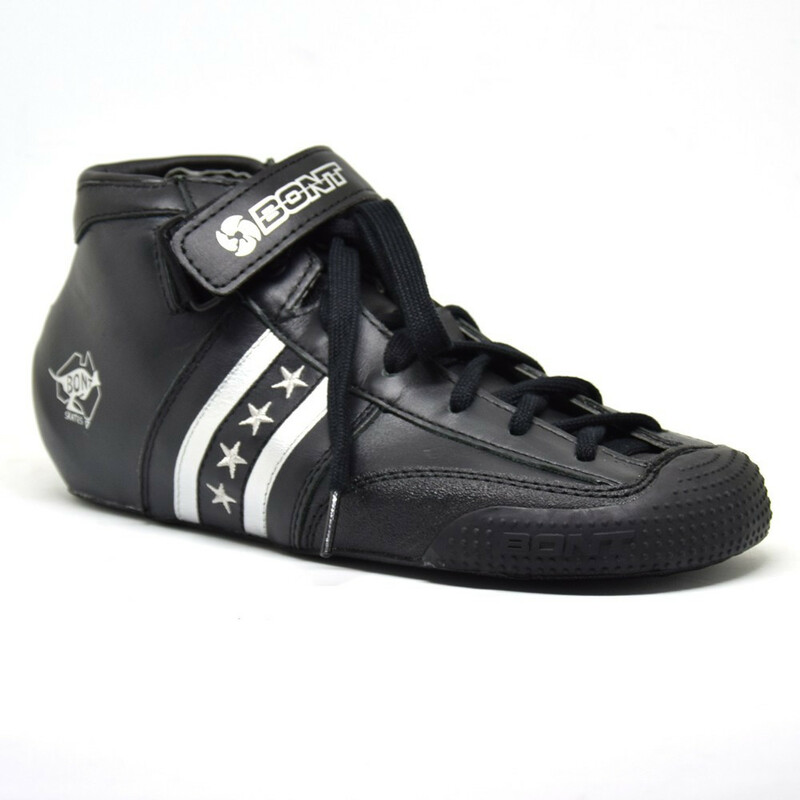 BONT Quadstar Boots now available at clic-n-roll roller derby shop! The Quadstar skate breaks the mold of what materials an entry level skate should be made from and it takes performance beyond most brands high end boots. Entry level skates boots typically offer a poor fit from a boot made from wood, cardboard and fake leather. The Quadstar skate features a genuine Australian leather outer skin with triple layer protection in the toe area. The base is made of fiberglass so it is extremely strong and the entire boot is heat mouldable. In fact, it's the most mouldable boot on the market. The Quadstar is designed to be better than our competitor's high end skates, at a fraction of the price. The skate has high performance. heat moldable for extreme comfort. 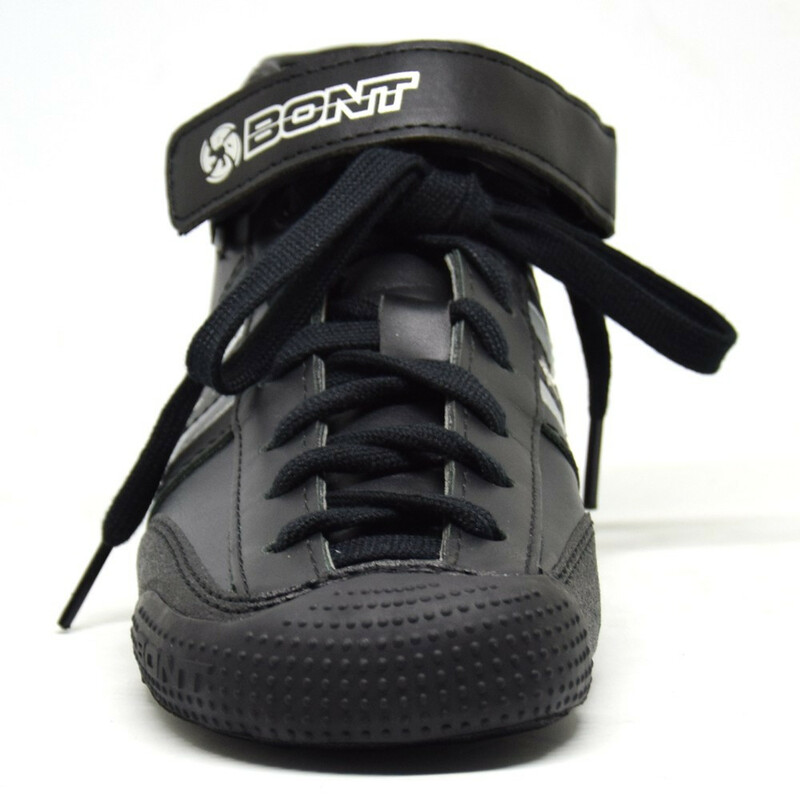 Fit Guidelines: Bonts fit very snug (for performance) with a wider toe box and deeper heel pocket than traditional skates. This skate is built for derby.